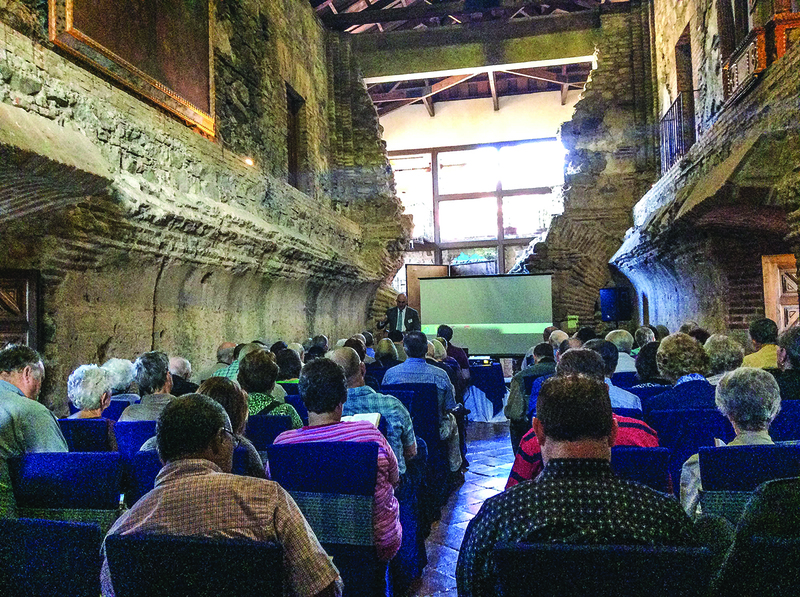 In Guatemala, a celebration 50 years in the making: The Pan American Lectureship returns to the Central American capital where it started in 1963 (reporting from Guatemala City). Currents. GUATEMALA CITY — Fifty years ago, the Pan American Lectureship was launched in this Central American capital to focus attention on fledgling Latin American missions. Just a few years before, Jerry and Ann Hill and their two young daughters drove a 1955 Chevrolet 210 station wagon all the way from Pleasanton, Texas — becoming the first Church of Christ missionaries between northern Mexico and the Panama Canal Zone. The Hills — the first of a team of missionaries who came to share Christ with this nation known for earthquakes, guerrilla warfare and its deep Mayan roots — arrived in 1959. Fast-forward to a recent Sunday: The Pan American Lectureship celebrated its half-century milestone by returning to this sprawling metropolis of 3 million people where it began in 1963. To mark the occasion, busloads of Guatemala’s faithful came together for a joint worship assembly — some traveling hours from remote rural areas. Ann Hill, now 81, sat on the front row of a national convention hall the size of a U.S. football field, barely able to contain her emotions. Transitioning to a new role with Chronicle. Inside Story. 2013: The year in quotes. Currents. This post highlights my stories in the January 2014 print edition of The Christian Chronicle.